With an understanding of the concept at play at Toshi, Grand Millenium Al Wahda's Asian fusion restaurant, I was very keen to try their Sushi and Teppanyaki theme night. My last visit, almost 4 months ago, left me somewhat underwhelmed http://bit.ly/1oOdv4S, so it promised to be an interesting night to see how it changed since. The restaurant has a dramatic feel to it, thanks to the red and black contrast in its decor. The Asian fusion feel is brought home through the collection of art pieces when you enter the restaurant, the red lanterns and bamboo art motif that you will pick up. All in all, very inviting. Seating options include sushi bar style seating, the usual table and chair set up as well as a large private room for large parties. 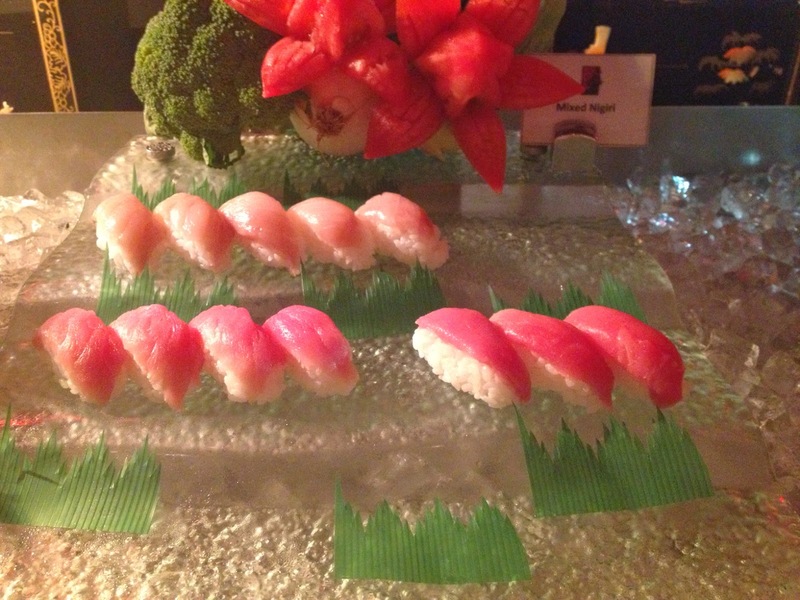 Firstly, the sushi area is varied and colourful. 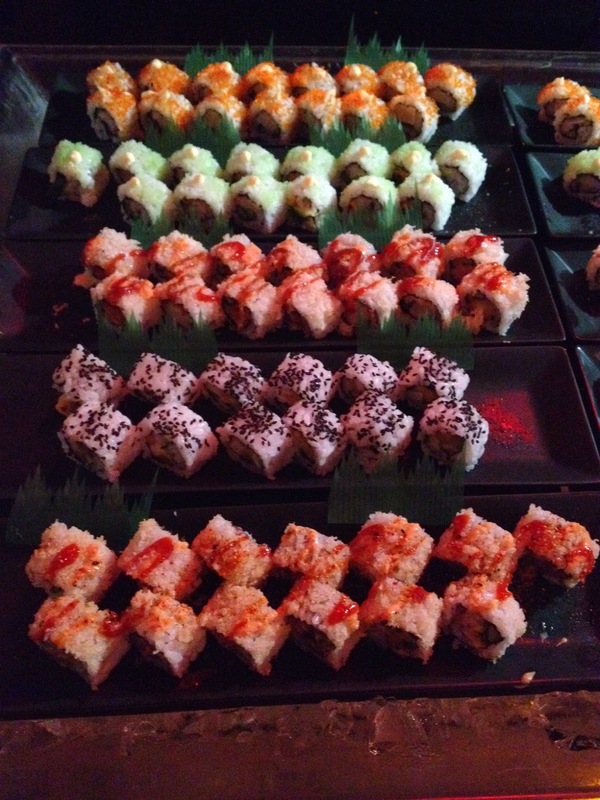 Included in the sushi selection was sunrise maki (crabstick, cucumber and egg), California maki (crab, avocado, mayonaise and orange tobiko), mixed vegetable maki and spicy tuna maki (tuna, cucumber, apple and spicy powder). There are also three kinds of sashimi: salmon, tuna and some type of local fish, the name which escapes me. Lovers of 'new' sushi will be in for a treat. The teppanyaki station too offers quite a lot. 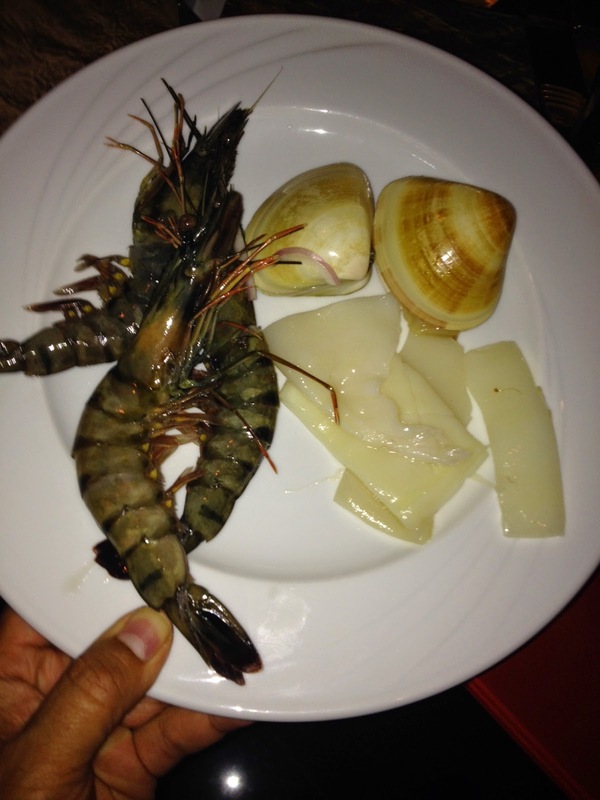 Beef, chicken, lamb, prawns, calamari, mussels and clams as well as a selection of vegetables await you. 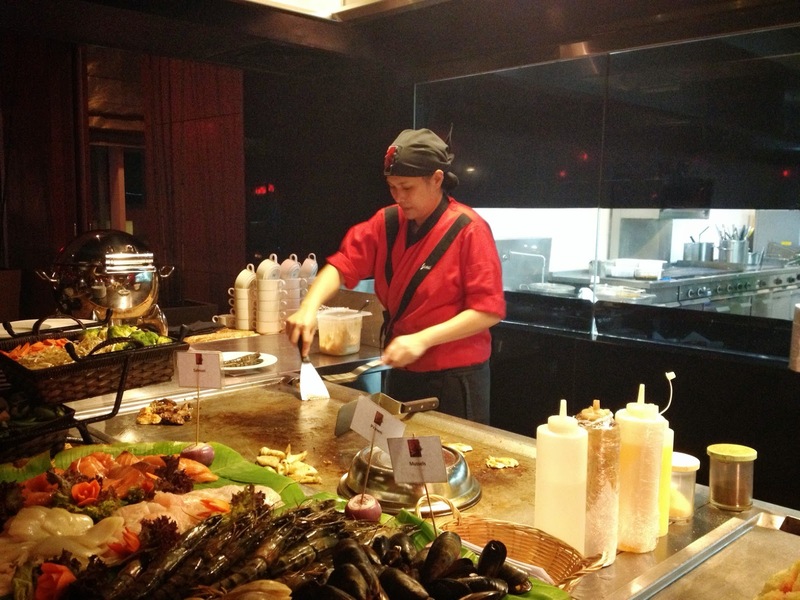 The teppanyaki chef, Janice, is lively and engaging and certainly makes you want to watch her in action. Teppanyaki, popularised many years ago by restaurant chain Benihana, features a chef who juggles utensils, throws up eggs and splits them with a spatula, allows for theatre and is popular with non-Japanese. Janice certainly has the skill nailed down. janice, accomplished with the spatula. Surprisingly, there were also oysters available with a lovely mignonette sauce. Bain of my life is oysters with sediment after chucking. I am pleased to say that that the oysters on this night were well shucked. 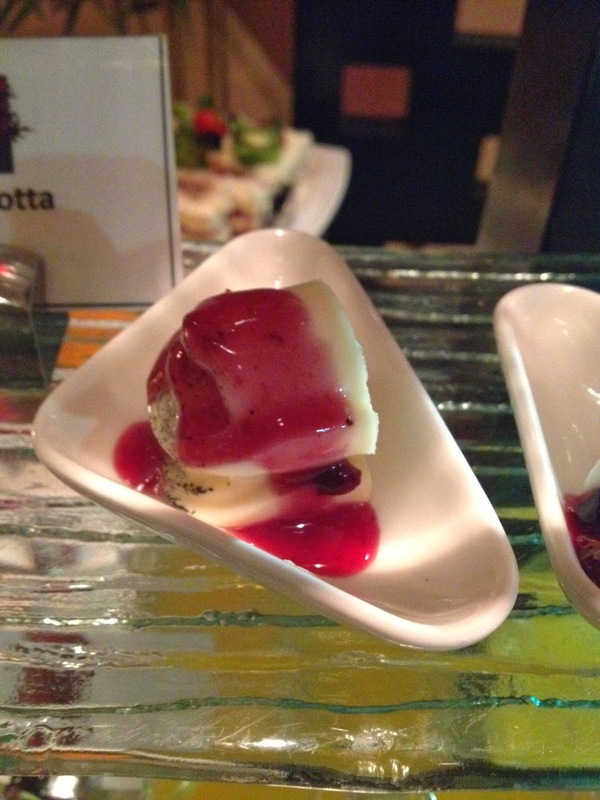 The usual desserts were on display, but I absolutely loved the panna cotta. I indulged in both the cherry and the blueberry. What is a sushi night without some Asian drinks? 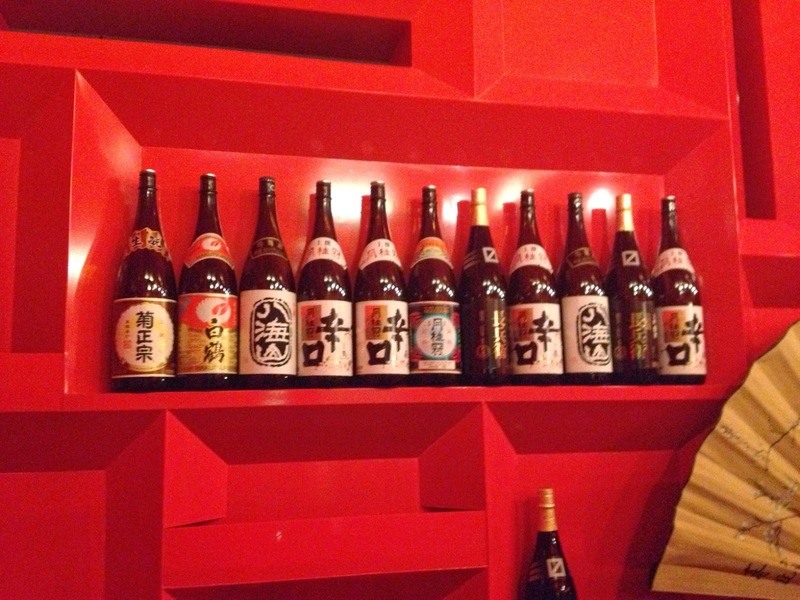 I loved the selection of sake on offer. 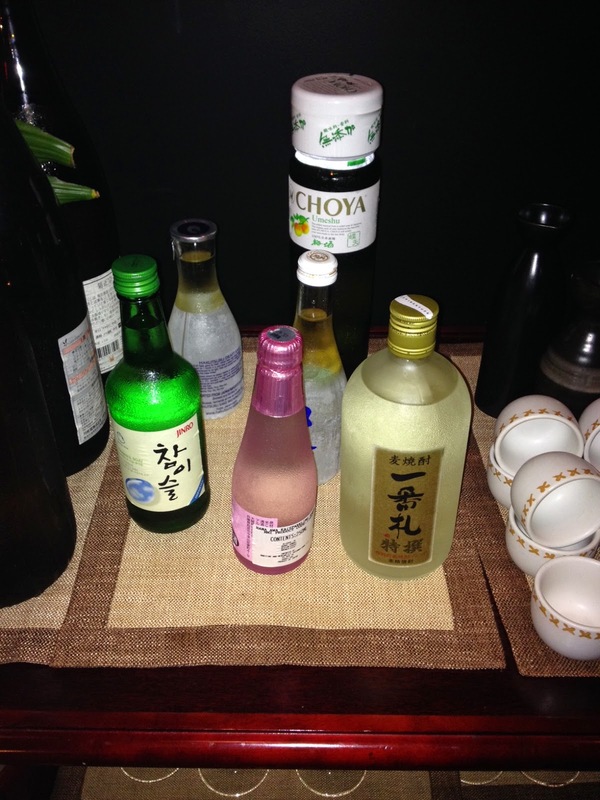 I am no connoisseur, but I was really pleased with the sake options. In addition, there was also Choya and Korean soju. For the more traditional and less adventurous, the hotel's house wine, the Jean-Paul brand, is also available. Pleasantly surprised by the choice of Asian drinks. What did I enjoy most? The oysters of course. Fresh, smooth and not smoky. The salads, with a South East Asian theme of spiciness and bite, were delicious, even though the kimchi was a bit lacking in colour. 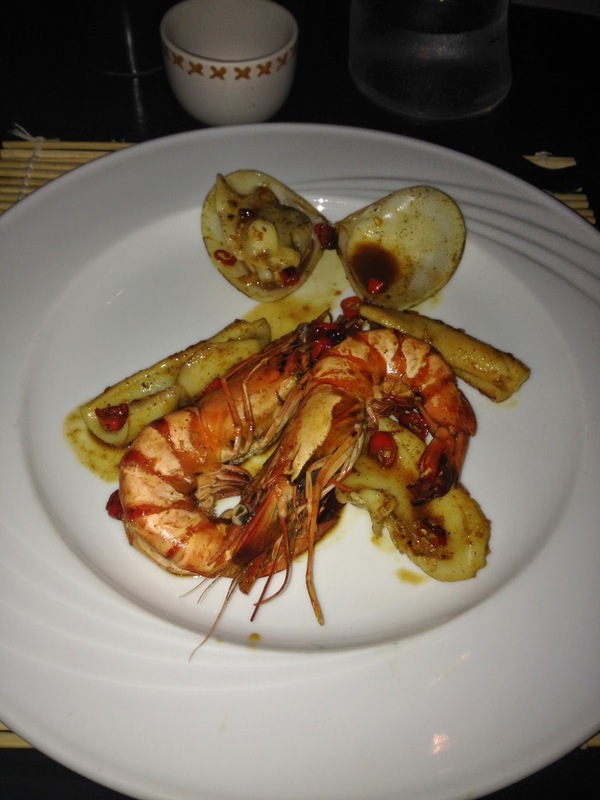 Finally, and saving the best for last, the seafood teppanyaki was superbly cooked. I opted for the calamari, shrimp and clams with spicy seasoning. The calamari,in particular, was tender, well cooked but not rubbery. And after - the fantastic seafood teppanyaki with chili. While everything is in place from a food point of view, how about the service, the area I felt was lacking or inconsistent on my last visit? The service is professional and fairly prompt. There were also some nice touches it must be said, with Lae, the supervisor on duty, engaging guests to make sure everything was in order. However, I think more consistent engagement from all staff can make this theme night even better. Add a bit more heart and soul to the service, and a good evening can become a memorable one. Overall, I enjoyed the Sushi and Teppanyaki night. Food is beautifully presented and reflects the collective effort of the staff to create a genuine theme night. The atmosphere was lively and conducive to a good time. And don't forget that it is great value money too. Free flowing sake? Anytime.